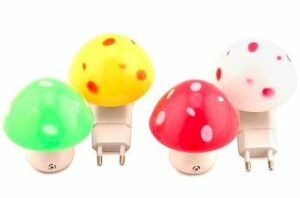 Buy Pindia NMushroomLampSetof2 0.2-Watt Automatic Night Sensor Mushroom Lamp (Pack of 2, Multicolour) at Rs 189 only on Amazon. Order now before the stock is grabbed out. Hurry up. How to Buy Pindia N Mushroom 0.2-Watt Automatic Night Sensor Mushroom Lamp (Pack of 2, Multicolour) at Rs 189 only?